Significant Changes in ABLE Law – Davey Law Group, P.A. The Florida legislature took the first steps this session to amend Florida ABLE statutes and remove Medicaid recovery from ABLE United accounts. This change would treat those with ABLE accounts in the same manner as those without ABLE accounts when it comes to Medicaid recovery. The implementing bill clarifies that any remaining funds in an ABLE account must first be distributed for qualified disability expenses then transferred to the estate of the designated beneficiary. Additionally, Florida’s Medicaid program may not file a claim for Medicaid recovery of funds in an ABLE account. These changes will be in effect from July 2018 – June 2019. The hope is that legislation introduced in the 2019 session will make this change permanent. When the Tax Cuts and Jobs Act was signed into law on December 22, 2017, it created three provisions that impact ABLE United account holders – in a positive way. First, rollovers from 529 college savings plan accounts into ABLE accounts are now permitted under federal law. The state of Florida is in the process of amending state rules to allow such rollovers. These types of rollovers must be from the designated beneficiary or a member of the family of the designated beneficiary and will count towards the annual maximum contribution amount ($15,000). 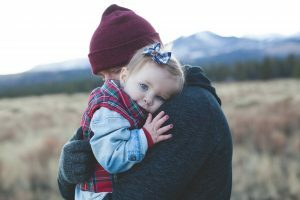 The amount the beneficiary could contribute above the $15,000 is the lessor of: (i) the beneficiary’s compensation for the taxable year; or (ii) an amount equal to the Federal Poverty Level for a one person household as determined for the preceding calendar year of the tax year in which contributions are made. The limit for 2018 is $12,060. The additional contribution would not be allowed if the beneficiary or his/her employer contribute to the beneficiary’s defined contribution plan, to an annuity described in section 403(b) of the IRS Code, or a deferred compensation plan as described in section 457(b) of the IRS Code. The beneficiary, or the person administrating the account on behalf of a beneficiary, is responsible for ensuring compliance with the ABLE contribution limits. Third, individuals who are able to take advantage of contributing earned income to their ABLE account may be able to take advantage of the Federal Tax Savers Credit. Each of these provisions are being reviewed by ABLE United before formally implementing in order to put the necessary safeguards in place to protect our account holders and to further help individuals with disabilities Achieve a Better Life Experience.